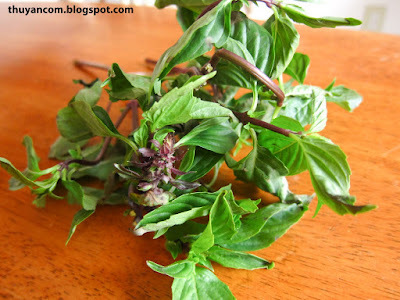 Herb is a very important element of Vietnamese cuisine. Herbs are not just for garnish but it enhances the taste and smell of each dish. A bowl of pho is not the same without a couple leaves of Thai basil. 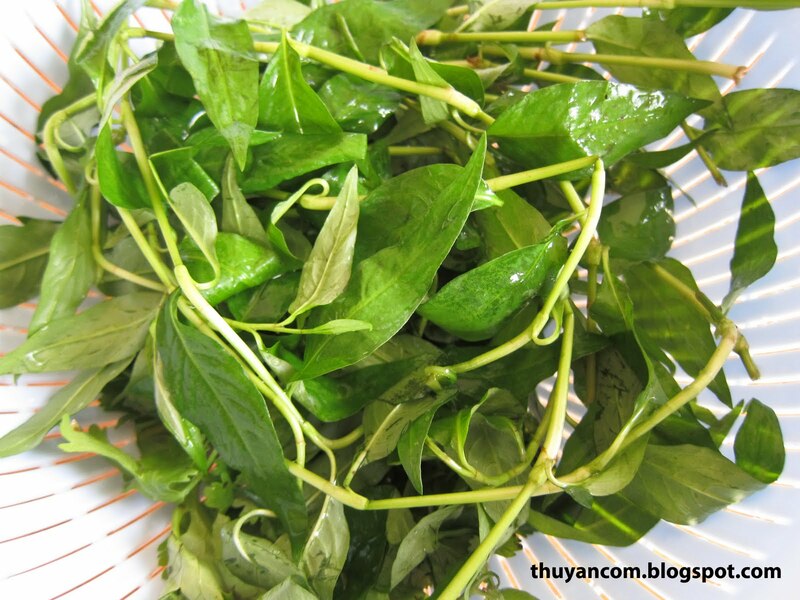 You simply cannot replace Vietnamese coriander with any other herb when you make Goi Ga. Each herb has a specific aroma and taste that compliment and complete a dish. In this entry I will only reference the best usage for specific herbs when preparing Vietnamese food. I do not have pictures for everything yet but will continue to update. Please visit Vietherbs if you would like more detailed information and pictures. 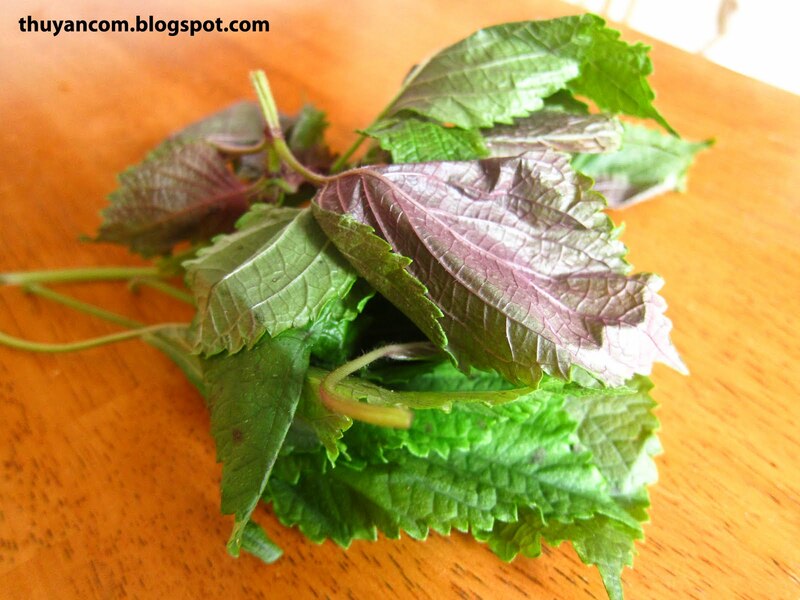 Usually an accompaniment for soups with seafood and it does goes very well with blood cubes. you're the best, thuy! happy new year, by the way!